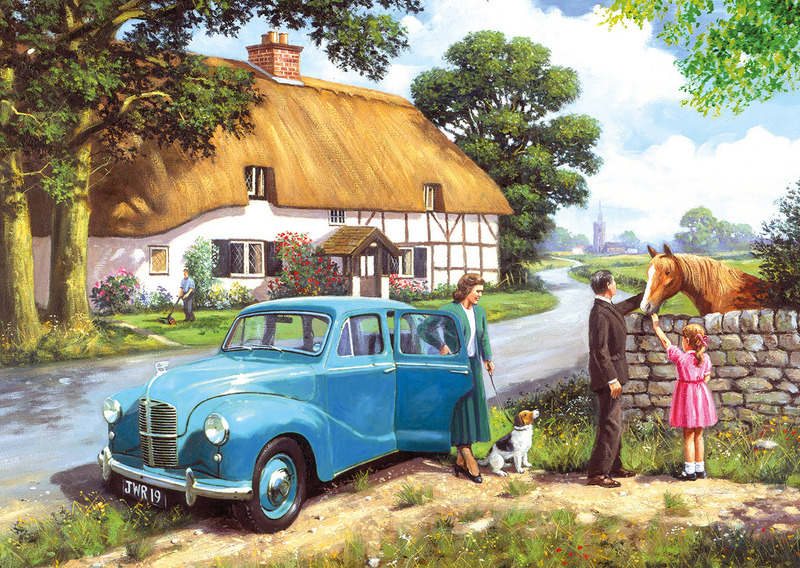 Whether it’s a visit to the village store, checking up on the family pony, having a picnic by the river or calling in at the vicarage, where would we be without our motor car? 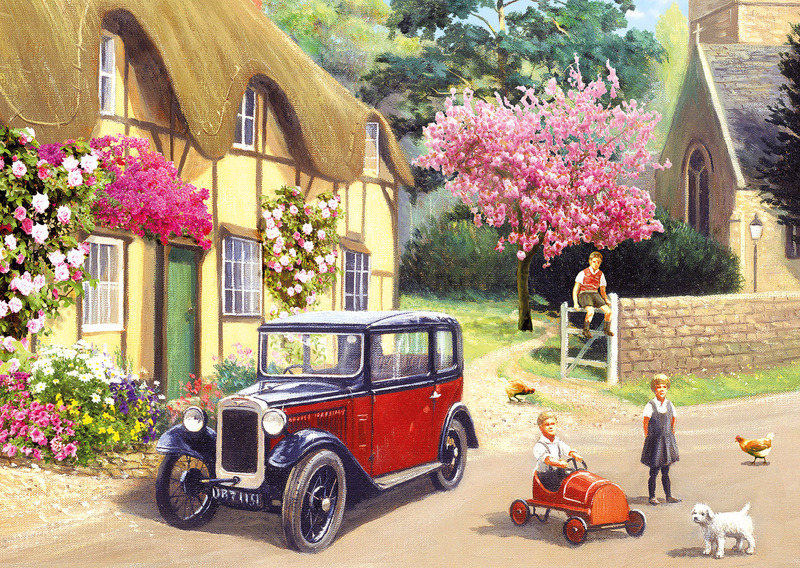 It was a bit different back in those days, mind you, hardly another car in sight! 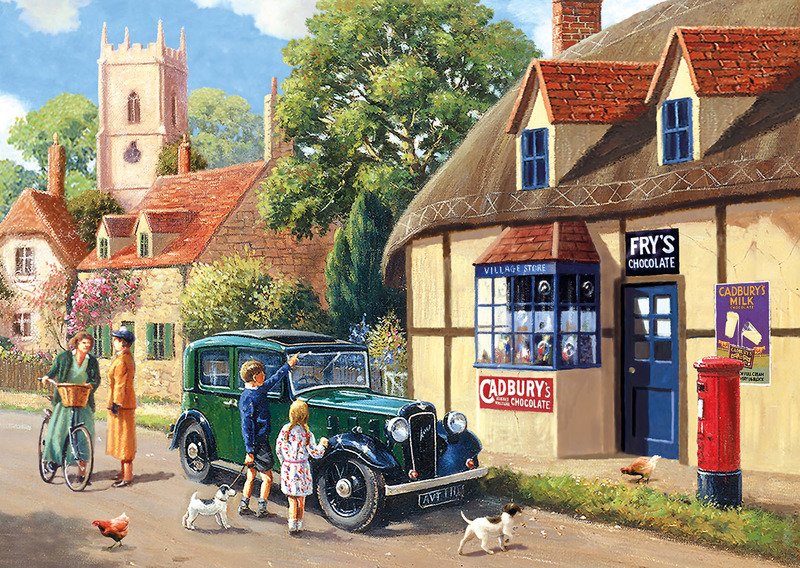 This set of four 500 piece puzzles transports you back to the early days of the motor car, when their presence in the countryside was a rarity. 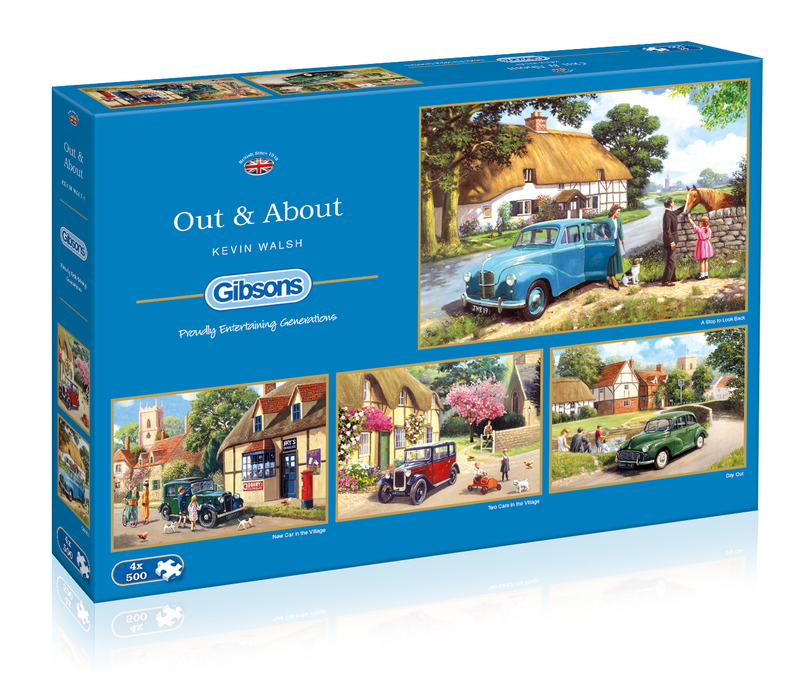 As with all Gibsons jigsaws, the beautifully illustrated pieces are made from the highest quality 100% recycled board and therefore a pleasure to work with again and again.